Students will measure the wavelength and threshold voltage of an LED and then use these values to calculate Planck’s constant. How an LED works and how it can determine Planck’s constant is also demonstrated. The main apparatus has seven LEDs that are powered separately with a 9V power supply and a potentiometer. 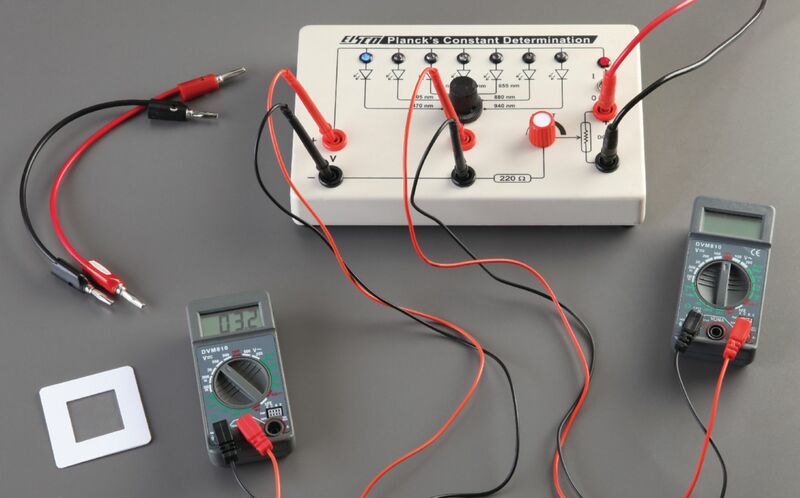 Students adjust the resistance until the current reads zero and then measure the voltage across the LED. Using the different stopping potentials and the wavelength of each LED, students can plot a graph from which Planck’s constant can be determined. 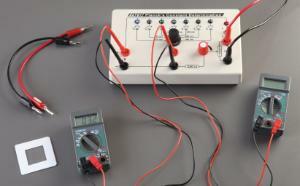 The kit includes a Planck’s constant apparatus, wires, diffraction grating and two multimeters. Required but not included is a 9 V DC power supply or a 9V battery.